Made of 1200D polyester with leather trim. 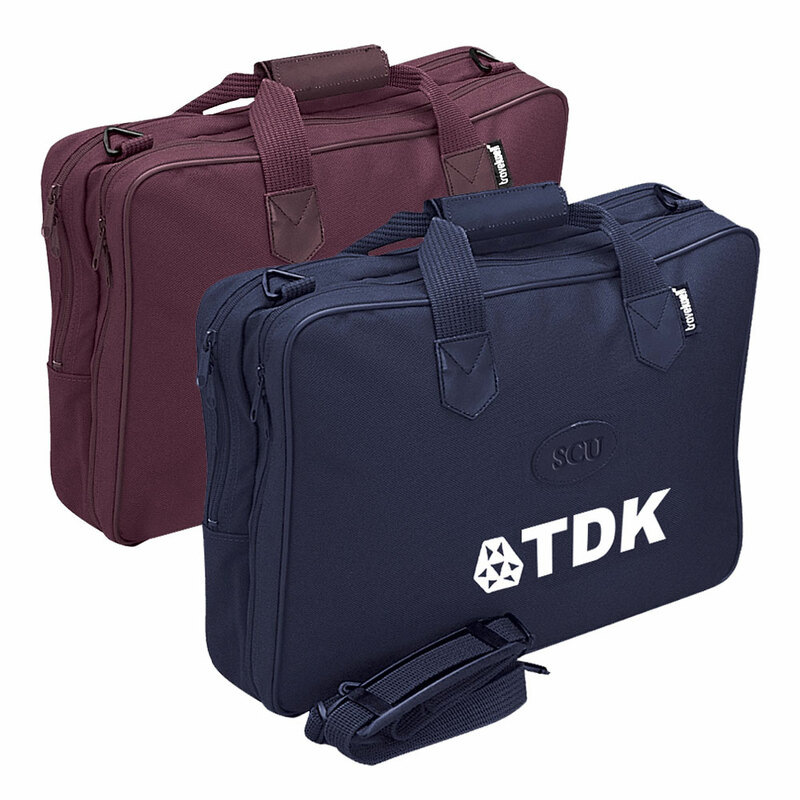 Double compartments and heavily padded on front and back panels. 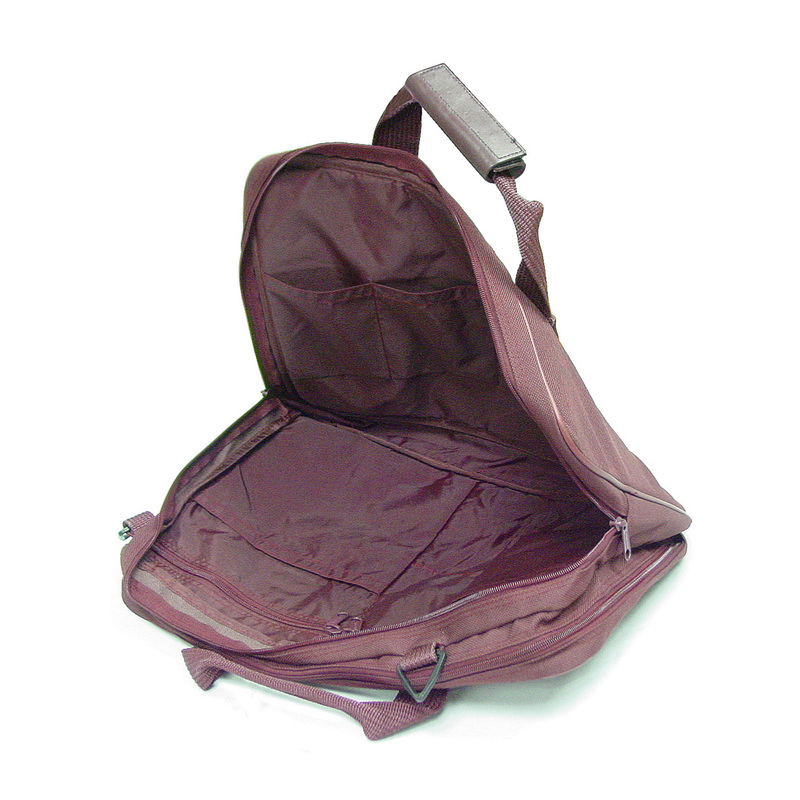 There are 5 open pockets, 2 zip pockets, and 4 pen holders on one compartment and 5 open pockets on another compartment. 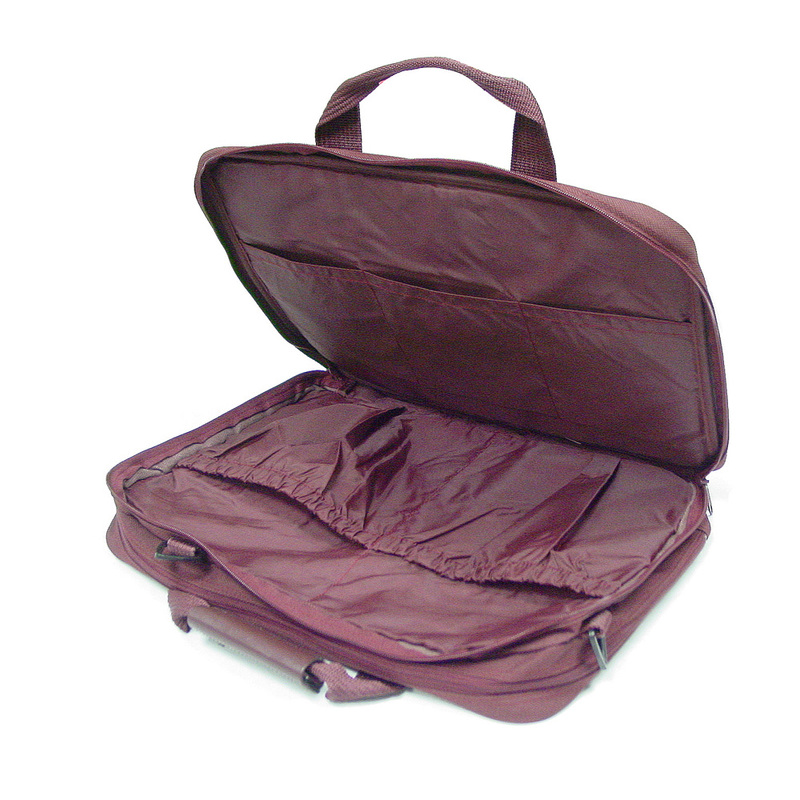 Its compact with lots of pockets. Monogrammable on oval leather patch approximately 2 ½" x 1 ½" H. Leather gripped handles and detachable shoulder strap. Product Size: 16" X 12" X 4 1/2"
Pack Note: 12 pcs / 19 lbs / 18" x 14" x 13"